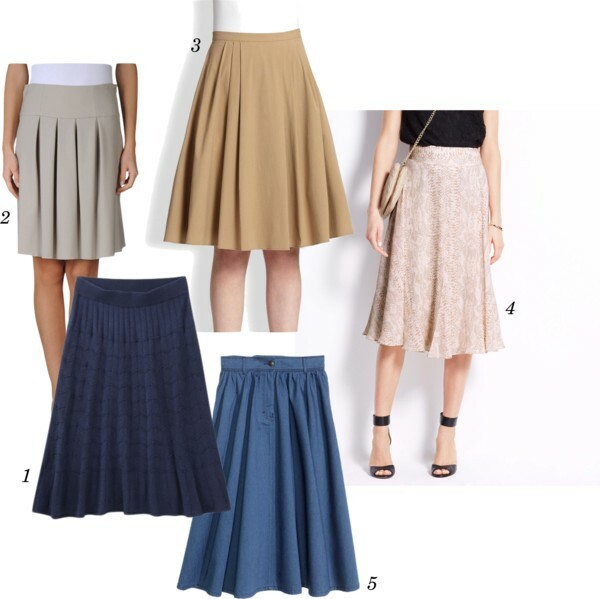 A full or A-line skirt in a relaxed shape offers all-day comfort as well as a flattering silhouette to complement your figure. 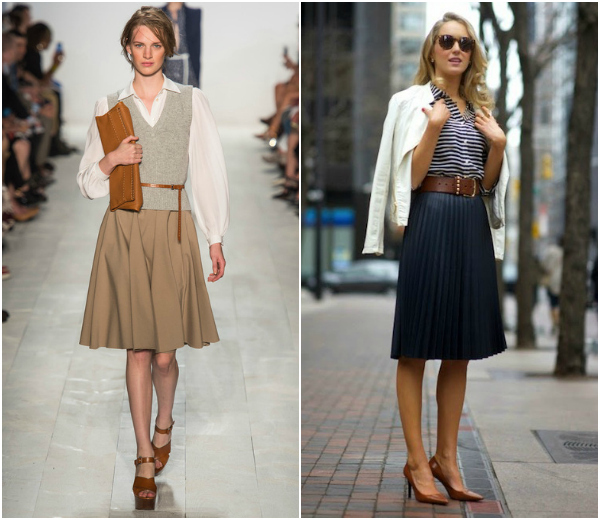 Make your next morning ensemble a breeze to dress with these easy-to-wear skirts in neutrals and blues. Look put-together by pairing the skirt with a button-down shirt. Highlight your look by cinching it with a belt (as seen above).